The 1.10.0 release of the OGRECave fork was just created. This means that the code is considered stable enough for general usage and the current interfaces will be supported in subsequent patch releases (i.e. 1.10.1, 1.10.2 …). 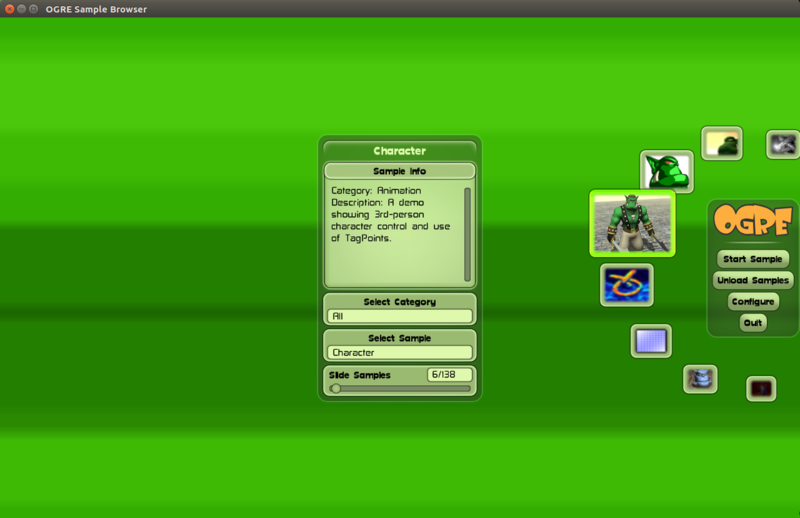 This release represents more than 3 years of work from various contributors when compared to the previous 1.9 release. At the time of writing it contains all commits from the bitbucket version as well as many fork specific features and fixes. If you are reading about the fork for the first time and wonder why it was created, see this blog post. For a comparison between the github and bitbucket version see this log. For a general overview of the 1.10 features when compared to 1.9, see the OGRECave 1.10 release notes. For further information see the github page of the fork. Until now I used a microSD card for storage of my Owncloud setup. The drawback of doing so is that microSD cards only allow for so many writes until they die and go in a read-only mode. 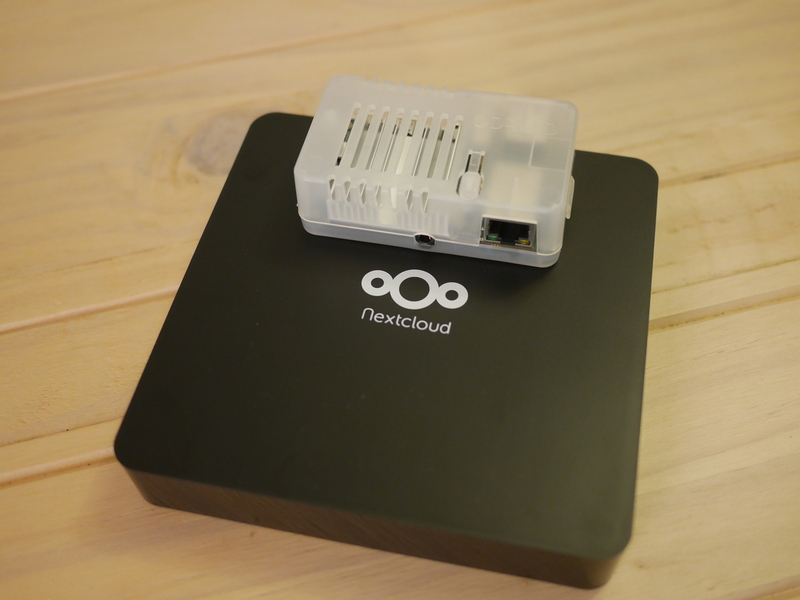 Therefore the Nextcloud box is an attractive upgrade allowing to use a more failure proof HDD while still keeping everything inside the same housing. The first thing to note is that the housing is much larger than one might think from the photos. 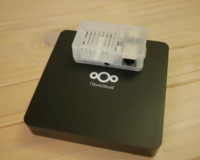 See the comparison photo with the Odroid housing. 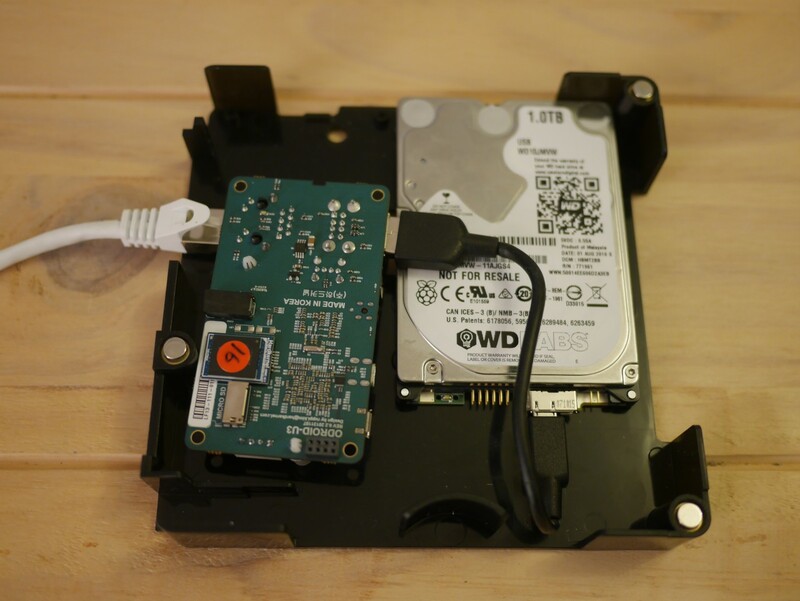 Actually this should not be a surprise as the 2.5″ HDD alone is larger than the Odroid board. Delivering your content not only as HTML, but also using the AMP-HTML subset not only reduces the loading times for your readers, but also improves the score of your site in the Google results. On top of that your site will be proxied by the Google AMP Cache, lowering your server load. 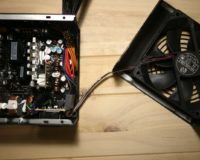 If you are using WordPress, adding AMP support is as easy as installing the AMP-Plugin which is developed by Automattic, the company behind WordPress. Doing so will likely get you more visitors, but unfortunately there is a drawback: the plugin does not support advertisements out of the box. So if you – like me – rely on advertisements to cover the server costs, you have to apply some tweaks to get ads on AMP pages as well. This is what this post will be about. Basically you have to modify your current theme. If you are using an off-the shelf theme, you should create a child-theme – otherwise just extend the functions.php of your custom theme. The snippet above assumes you are using google adsense. If you want to integrate a different Ad Network, look here for the specific syntax. However the versioning scheme has become completely arbitrary while still resembling semantic versioning. As a consequence somebody even had to put a “What version to choose?” guide on the OGRE homepage. The Rancilio Silvia Espresso Machine has one major weakness: the high fluctuation of the default thermostat. The taste of the espresso already varies with temperature deviations as small as 1°C, but the thermostat of the Silvia V3, V4 has a range of ~20°C (~30°C for Silvia V1, V2). So to get a decent tasting espresso one need to predict the heating phase of the boiler, which is called temperature surfing. However this involves wasting water and one also needs the right timing which is especially difficult for beginners. A better solution to is to replace the default thermostat with a digital one. 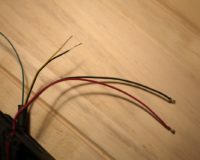 This means adding microcontroller that will monitor the temperature using the PID algorithm. This way you always have the right temperature – without surfing. 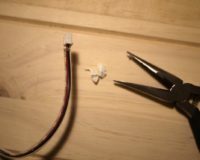 Furthermore the microcontroller can be used to add some fancy features to the machine like preinfusion or a shot timer. 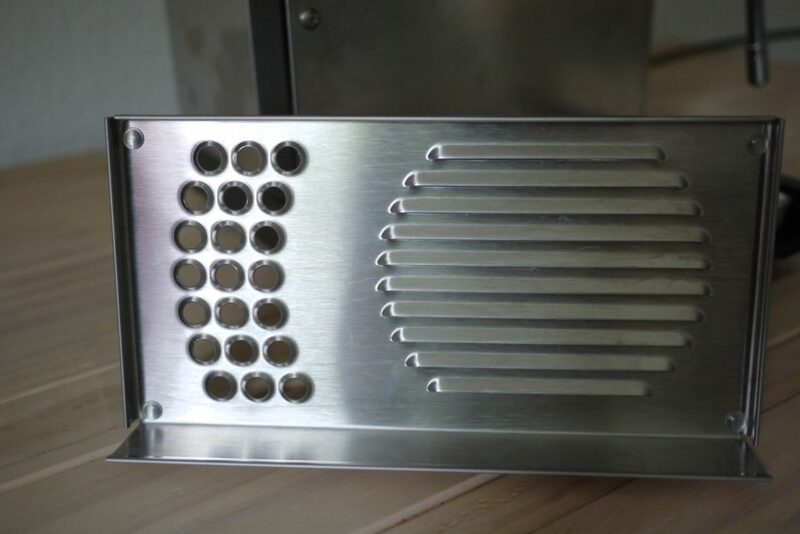 The main point one can criticise about the build of the Rancilio Silvia is that it is not all stainless steel. 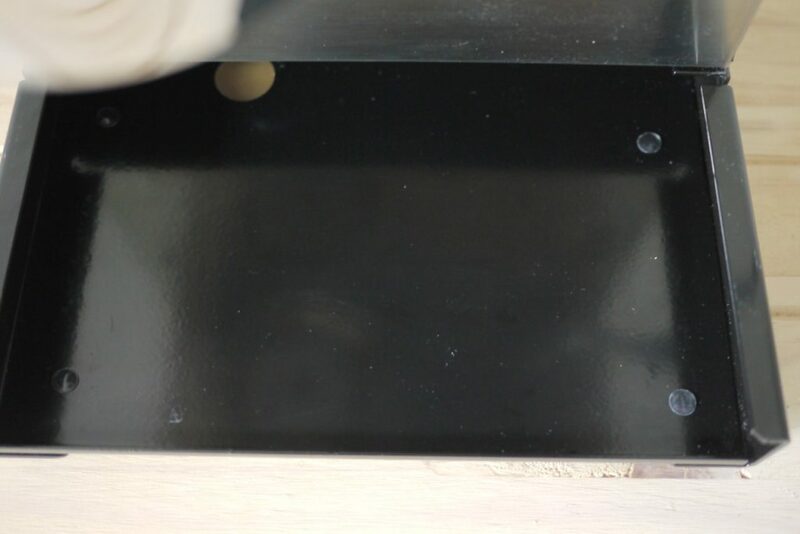 While many important parts like the drip tray and the cup holder are, the main frame (black) is just powder coated steel. This means it can rust and according to reports on the internet it actually does. 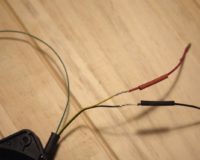 However one can do some small and cheap modifications to drastically reduce the risk. Rust is the product of the reaction of steel and oxygen in the presence of water, so to prevent rust one either has to remove oxygen or water. The powder coating of the frame typically removes both, but over time scratches penetrate the coating and the frame can rust. 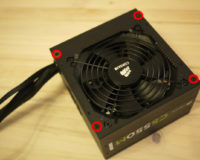 While the Corasair CS550M is a good power supply unit (PSU), the fan or more specifically the fan bearing is quite poor. 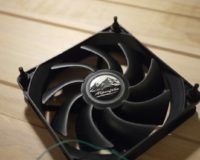 Even though the fan is temperature controlled, this results in a annoying clickering noise. 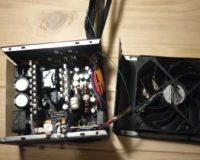 Therefore one might want to replace it with a better quality, more quite fan. 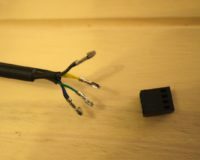 However note that the used high power capacitors store enough charge to shock you even several minutes after disconnecting the PSU. 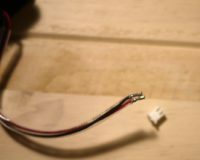 So you should wait for about 10minutes after disconnecting the PSU and even then watch out not to touch the pins of the capacitors. 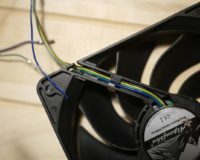 now you can re-asseble the PSU housing and optionally attach the tacho cable to a free plug on your mainboard to monitor the PSU fan. This post was inspired by this youtube video. 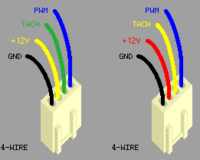 The pc fan connector diagram was made by pavouk.org.